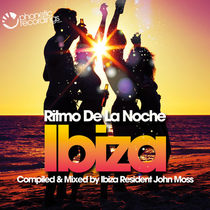 Phonetic Recordings releases ‘Ritmo De La Noche - Ibiza’, this week. Compiled and mixed by Bora Bora resident John Moss, this is the label’s third compilation and continues the label’s long-term love affair with the White Isle. ‘Ritmo De La Noche - Ibiza’ is John’s selection of Ibiza favourites that have been doing damage at his residency on Bora Bora beach and features singles that are already making an impact in Ibiza this summer, with exclusives from Frank De Wulf, Rob Roar and John himself. Producers and remixers on the album include Spain’s DJ Chus, who delivers an interpretation of ‘Dare’, giving it his tribal rework sound with a subtle use of the Gorillaz sample. Rob Roar notches things up a little with his new ‘Rockerfella’ track, which is already proving to be something on an anthem this year and John teams up with Frank De Wulf to revisit ‘The Tape’. Have a listen below.